Sapphire and aqua are such beautiful colors. 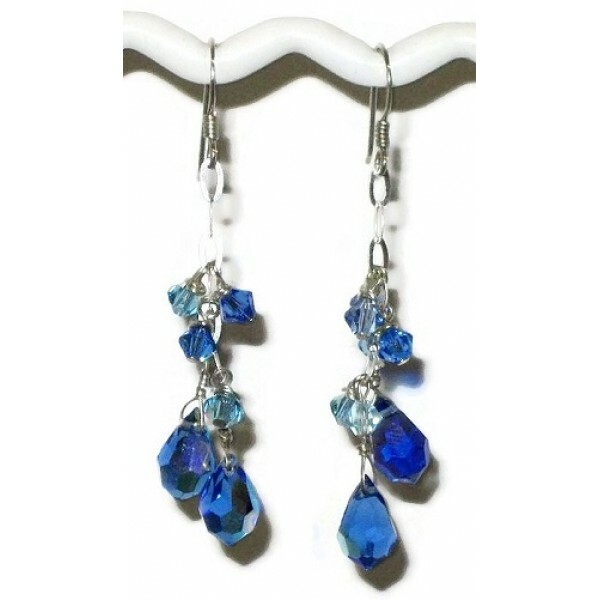 These earrings consist of Swarovski crystal that hang on sterling silver chain. The entire length of the earrings are 2 inches starting from the top of the sterling silver earwires.